In a report released today, Vijay Bhagavath from Deutsche Bank maintained a Hold rating on Ubiquiti Networks (UBNT), with a price target of $75. The company’s shares closed on Friday at $124.53, close to its 52-week high of $128.84. According to TipRanks.com, Bhagavath is a 5-star analyst with an average return of 10.3% and a 61.4% success rate. Bhagavath covers the Consumer Goods sector, focusing on stocks such as Motorola Solutions, Juniper Networks, and Viavi Solutions. Currently, the analyst consensus on Ubiquiti Networks is a Hold with an average price target of $96.67, representing a -22.4% downside. In a report released today, BMO Capital also maintained a Hold rating on the stock with a $120 price target. Ubiquiti Networks’ market cap is currently $9.07B and has a P/E ratio of 45.09. The company has a Price to Book ratio of 33.52. 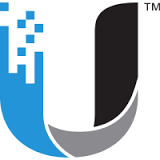 Ubiquiti Networks, Inc. engages in the provision of equipment and related software services. It focuses on high performance proprietary technology; price disruptive offering; and integrated and easy to deploy and manage solutions.